Youth Square provides wide range of facilities including theatre, studio, multi-purpose area, hostel, retail shops and offices to facilitate youth development activities. 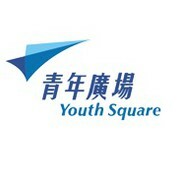 To become the focal point of Hong Kong’s territory-wide youth development activities. Youth Square provides a relaxed, reliable and safe environment that is full of fun and surprises for youth to explore every possibility of their potential.